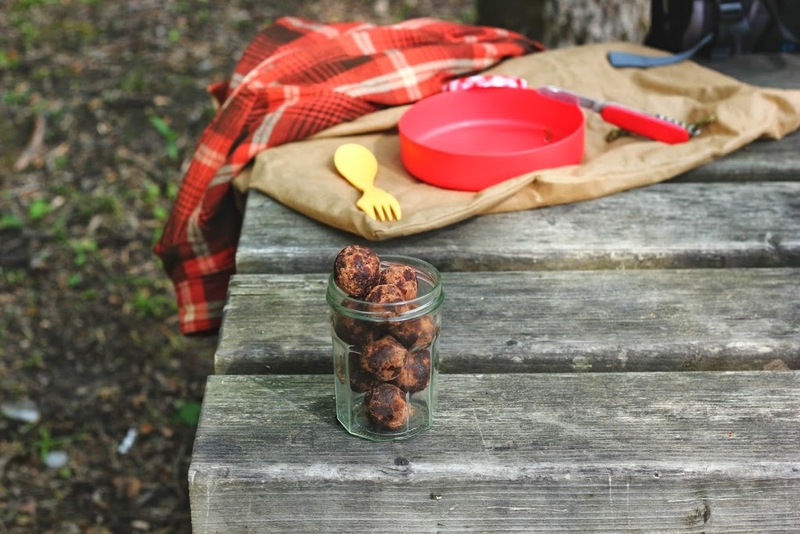 I am always on the look out for fun, healthy new recipes to bring along with us on our weekend camping trips or hiking adventures. After two weeks of camping in Corsica, I soon realized that easy to find, readily available plant based protein sources are hard to come by, and little health food stores are quite few and far between. It’s really important to me to that I make sure I’m get all my nutrients and vitamins, especially when we are spending our days out in the mountains. So while pasta and olive oil is satisfying and easy on the traveller’s budget, after a few nights of pasta al campo, I find myself craving something a little more nutrient dense. We are getting more and more creative each time we cook outdoors, we made a pretty killer chickpea and zucchini soup not too long ago and hopefully we will be able to master a few easy and filling recipes to share with you all here. Oatmeal is my go-to camping breakfast, it’s easy, cheap and usually keeps me full until lunch. However, sometimes I get a litte tummy grumble around 11am, sometimes it’s around 4pm, and sometimes I start craving a little something sweet while sitting around the campfire. 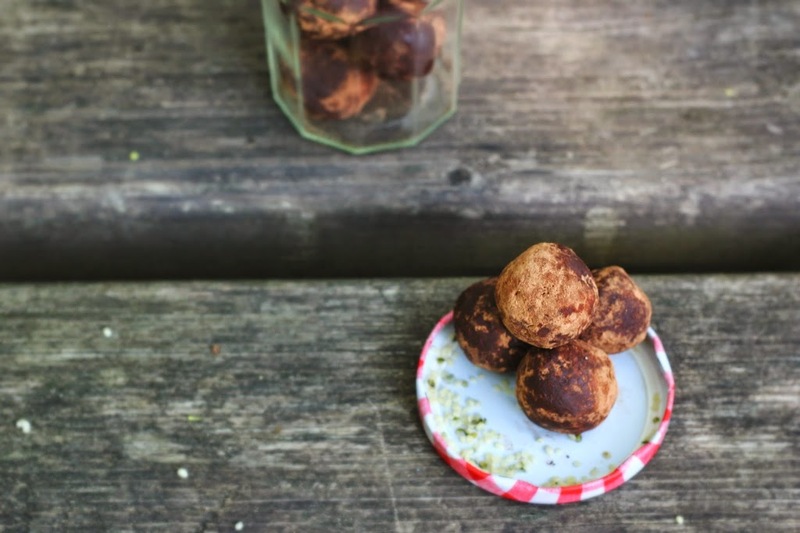 Well, these little energy bombs are my solution for all your adventurous snacking needs. They travel really well, are super easy to make, and are a simple way to pack some extra fuel in your backpack. While they may never compare to a gooey, warm, chocolatey s’more over the fire, your body will be a happy camper with a few of these stowed away in your pocket. Wishing you all lots of healthy outdoor adventures this summer! Two little bites packing lots of energy. Perfect for weekend camping trips or days spent exploring the outdoors. Vegan & Gluten Free. Makes about 15 bite size balls. Place walnuts and hemp hearts in a blender and pulse until roughly ground. Add in dates and pulse until the mixture comes together, then add in the coconut oil, cacao powder, cacao nibs and maca powder, then blend until well combined. 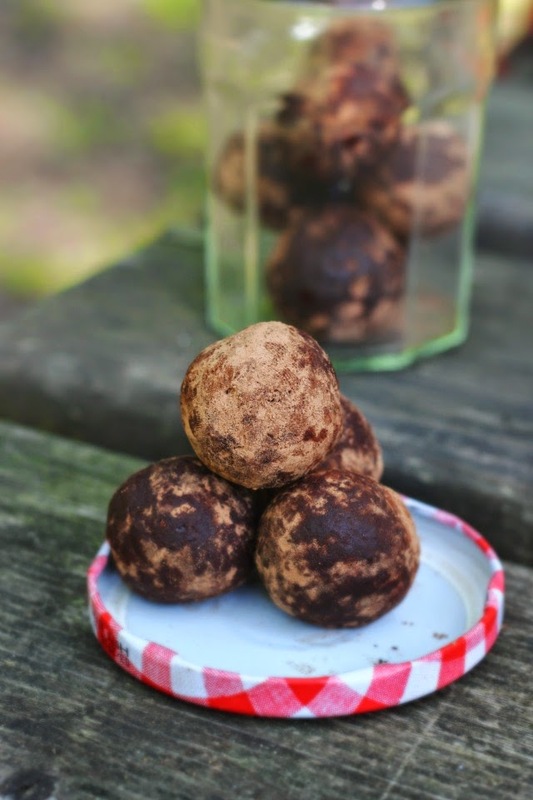 Roll into tablespoon sized balls and dust with a little cacao powder, then refrigerate or freeze until ready to use. Girl, you are totally rocking your new lens! THESE PHOTOS! WOW! where are you buying all these goodies living in France? do you get the on-line? I ask because I am moving to France (Rhone-Alps region) soon. I am actually able to find pretty much everything I need at Satoriz, it’s an organic health food chain, and they them all over the country. Hopefully there will be one, or something similar, near you! It’s a great little online shop full of goodies! This is all so great to know and will make my transition easier. Do you know if they sell white stevia powder extract? Hey Monika, honestly but not 100% sure but I think so! I have definetly seen it at a few different places in France so I’m sure you’ll be able to find it!